Explicit Pea's Marvellous Request Show - Better Late Than Never! This is bob. Copy ... See More and paste him so he can take over youtube. Why a podcast? 2018 is shaping up to be a busy year with huge ... See More implications for our community. We want to bring you information about the big cases, the campaigns and the debates that are dominating our work. We’ll give you detailed takes on all of this, with discussions and interviews with those who know the issues best. 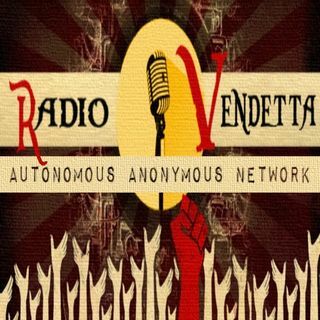 Welcome To My Ickle Corner Of Radio Vendetta, I Shall Be Hosting A Weekly Politics Show and Music Shows AdHoc. I Look Forward To Interacting With Listeners In The Live Chat Or If Your Brave Enough You Could Join In On A Live Call, Contact Me Via Twitter If You'd Like To Be On. Also Contact Me If You Have An ... See More Op Or Event You Like Covering - Im Hoping To Have A weekly Events Guide Going Shortly. Shows will appear at random due to availability of guests and cosmic idea of timezones. Stay safe. Stay Vigilant and Sail Safe. The Down To Earth show bringing the common sense approach to life on earth also known as permaculture. Each show will focus a portion of the show on a case I have researched like the ... See More Reality Winner case or the Aaron Swartz case, I hope to bring guest on to discuss these cases in an effort to raise awareness of the injustices in thier respective cases.